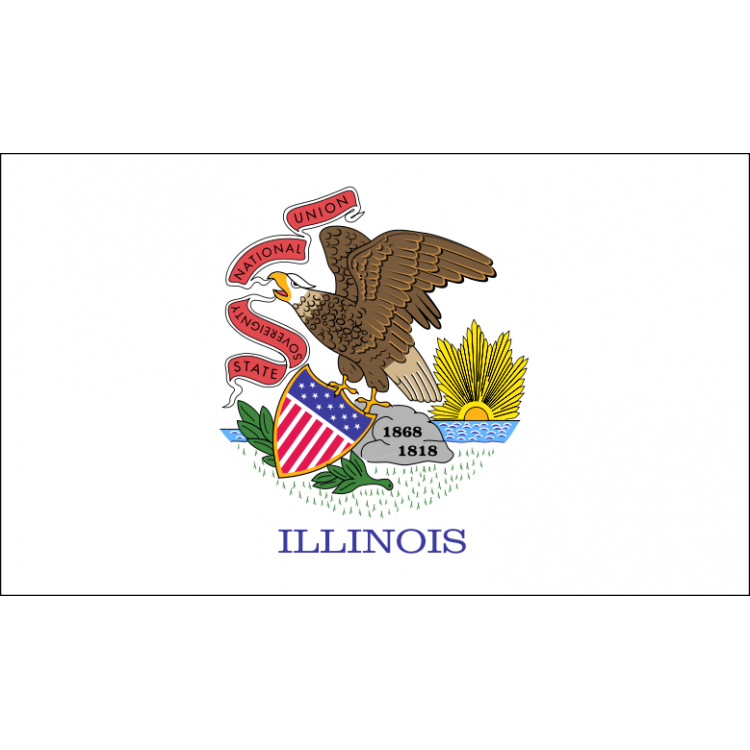 The Illinois flag is a simple representation of the seal of Illinois against a white background. 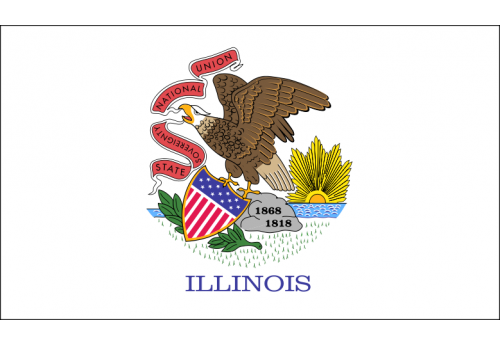 In 1969, the word "ILLINOIS" was added under the Great Seal of the flag. The State's name was added to the flag to ensure that people not familiar with the Great Seal of Illinois would still recognize the banner.